Whole log construction is the heart and soul of rustic ambience. Its adaptability and durability is evidenced in its continued use from the earliest days of colonial settlement straight through to today’s picturesque cabins in the woods and rambling mountain retreats. For superb attention to detail, award-winning designs, and expert log home construction, look no further than Pioneer Log Homes. Pioneer does log homes right, with solid structures of hand-peeled and hand-hewn logs, all perfectly joined with unequaled mastery. 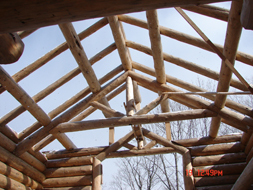 The skill, craftsmanship, dedication, and reputation of Pioneer Log Homes make them the natural choice for you, your architect, and, of course, Brainard Ridge. Enjoy the natural beauty and grace of a log home nestled in a winter wonderland, brought to you by Pioneer Log Homes and Brainard Ridge Associates. 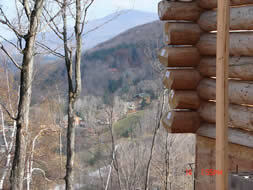 For more information, please visit the Pioneer Log Homes’ website.